We’re continuing our trends feature with knits for kids! If you want to make kidswear with love, that beats what’s on the high street, we’ve got the patterns for you. This season it’s all about bold, playful prints that will have little ones excited to get dressed in the morning, plus all of these patterns are perfect for girls and boys! This fun pattern duo by Peter Pan will be a little ones favourite in the wardobe this winter. Keeping warm with a diplodocus dinosaur scarf? What could be better? Louise Walker impresses us with another fun animalia pattern. See the pattern here. Your little one will love playing dinosaur in this fun spiky hat! Kate has also made a pattern for matching mittens! Kate does it again with this circular yoke sweater, perfect for future paleontologists and young dinosaur enthusiasts. Diplodocus is worked top down, and includes instructions for a button-tab at neck in the baby sizes so there is no trouble getting the sweater over the head. See the pattern here. Who does playful patterns better than MillaMia? The Jens Jumper pattern is perfect for little boys and girls up to 4 years. A sweet jumper that will be treasured by little ones for years to come. We love the little bunny stranded colourwork! This FREE hat pattern by Hanna Maciejewska comes just in time for the approaching winter chill! Cheer up kids’ gloomy days with this fun bunny pom pom hat! A fun knit to make and wear! Who doesn’t love a fox print? Worked in the round with minimal finishing, this is a fun, modern knit for little ones. See the pattern here. Who can remember making paper floats as children? This sweet Paper Boat pattern by Amy Van de Laar will take you back to your childhood and have have little ones in giggles! This sweet little hoodie by Carrie Bostick Hoge is perfect for girls and boys alike. It’s simple structure makes it a great pattern for beginners looking for that new challenge. See the pattern here. A simple sailor sweater with a modern touch! This sweater looks like it’s straight from a fashion shoot and you can make it for a fraction of the cost! See the pattern by Sofie Bovbjerg here. Britannia by Tin Can Knits combines simple sweater construction with cable and lace details, making it the perfect sweater for a walk on the beach or a drive down the sea! If buying eco-friendly yarns is important to you, then Lana Grossa Cashsilk from the Linea Pura series, with its promise of ”Green Glamour” will be right up your street! 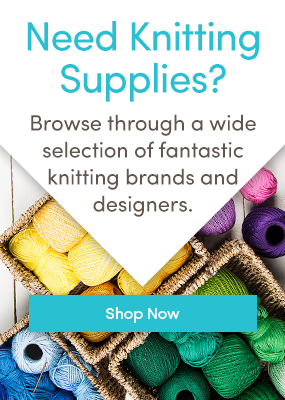 Cashsilk is a glorious cashmere, silk, polyamide and viscose blend, that will bring its super chunky character to all your knitted vests, tops and textured jackets. Shown top left in Flieder. Eco Barbante Milano Solid, is a fabulous cotton blend yarn, strikingly beautiful and brimming with versatility. This recycled fibres cotton blend offers unlimited creative possibilities for the keen knitter! Shown top right in Lagoon. Made from 100% organic fairtrade cotton, coloured with beautiful non-toxic dyes, Debbie Bliss Eco Baby is as soft on your conscience as your skin! Shown bottom left in Duck Egg. Cascade Ecological Wool knitting yarn is 100% Natural Peruvian Wool that’s undyed so the colours are just as they come from the sheep. Soft and wearable, this wool is perfect to either knit up some warm and cosy garments or for felting accessories. The yarn comes in solids or marled colors and big, generous skeins of 437m, making them great value for money. Shown bottom right in Natural. Which patterns are you inspired to make? Last updated: September 16th, 2015.